So realistic it will make your real pool game better! 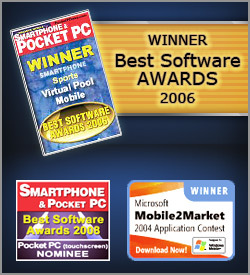 Play Pool, Snooker, Billiards, or Pub Pool on Windows. Best PC pool game ever made! Play pool games with a touchscreen interface to aim, apply spin & shoot in full 3D! Play 3D Virtual Pool on your Android phone or tablet. 8-Ball, 9-Ball, Snooker, & more. Play 3D pool at its best! Realistic physics & high definition graphics for increased accuracy. Virtual Pool 3 DL. The standard for lower priced PC pool games! Will run on older PC systems.